The expert service technicians at Mt. Vernon are committed not only to meeting your heating and cooling needs, but also to informing you about how the technology of our industry works. So we put together this comprehensive Frequently Asked Questions section to make you an expert, too. Can I troubleshoot before calling Mt. Vernon? How to prepare for extreme hot spells. Read our glossary of common HVAC terms. 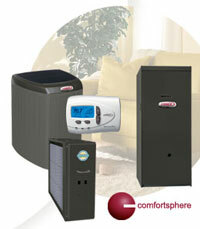 and Guide to Energy-Efficient Cooling and Heating with Energy Star.